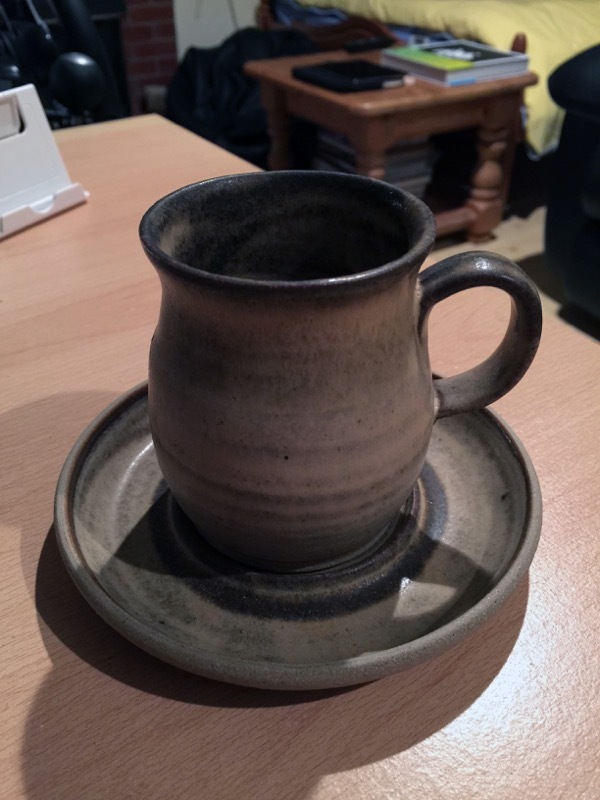 I wonder please if anyone would be good enough to have a stab at IDing this pottery for me. 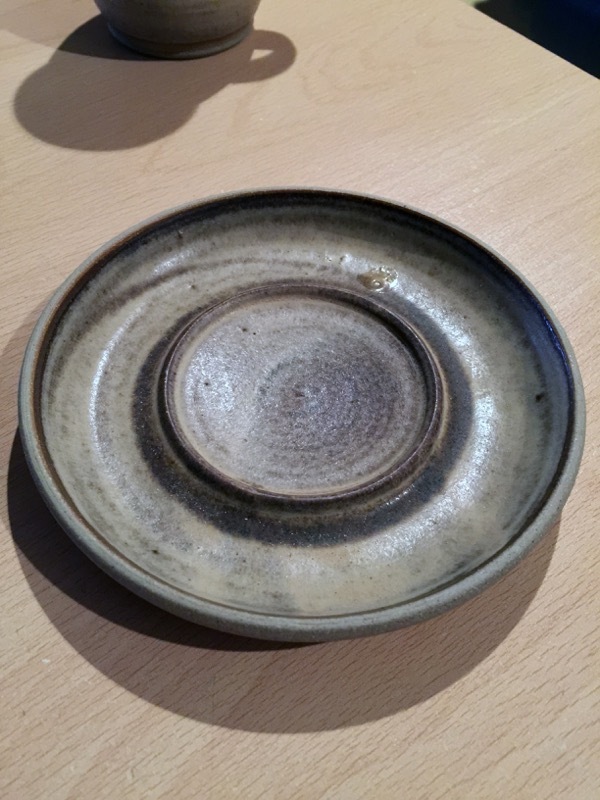 My Mum bought this back in the early 70s from Cornwall or Devon I think. 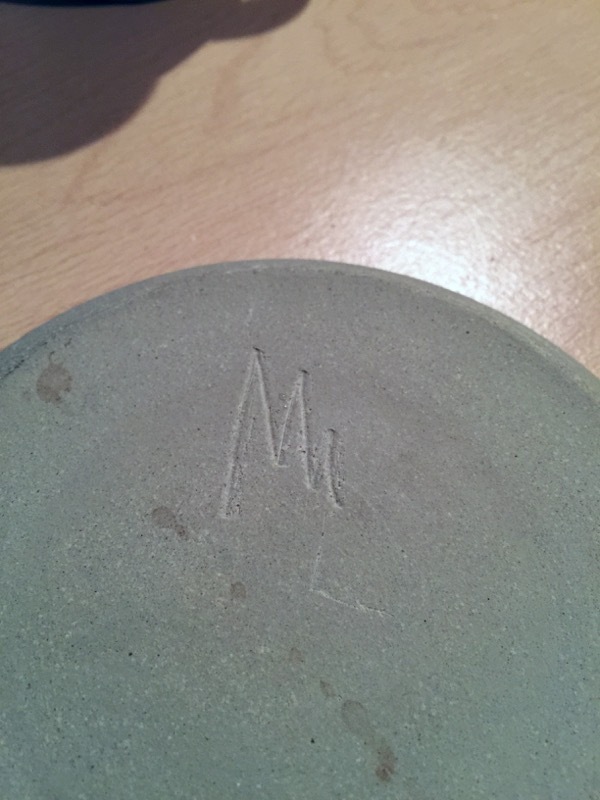 I have been told previously that it might be Mousehole, as the marking on the back looks like an M, but I don't think it is Mousehole as that make has a very distinctive mark that looks like a mouse peering out of it's hole and this does not have that mark. 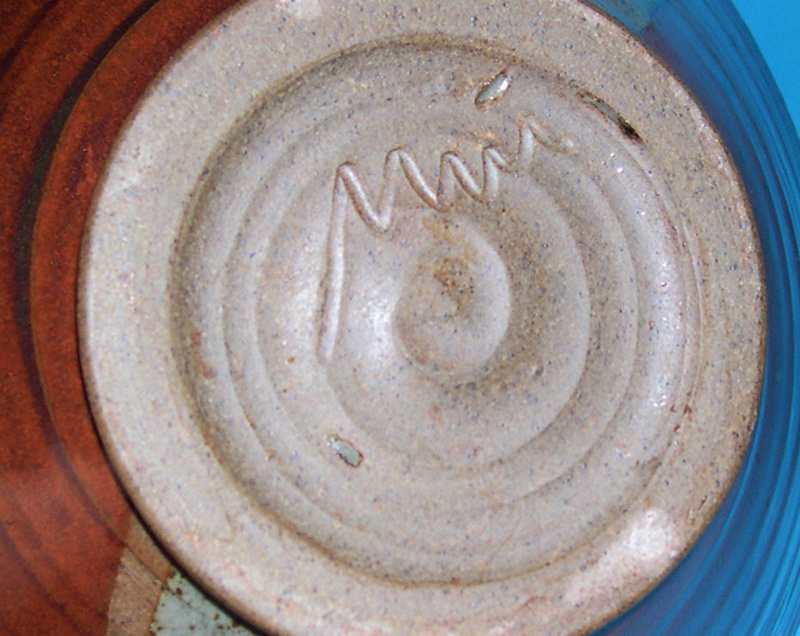 It is a dark brown almost fat lava style design and has a marking that looks like a double M on the reverse. I have a near complete coffee set of this but sadly a few cups and saucers got broken over the years and I would dearly like to replace them to get a full set again. Ah OK that is interesting, because it was bought in Cornwall, I'd always assumed that it was from a local studio, but maybe she bought it from a shop that had it imported (she has passed away now so I can't ask her), I will check out Jan Burgess thanks for your help. Wow, you are right Jan Burgess mark is very close to what I have, not exactly the same but surely it has to be hers? Maybe it was an early work? before she changed her marking slightly? Yes you are right, the more I look at them both the more they look too different. Maybe it's a fake!